Introducing the new Model LQ800 Multi Channel Controller from ECD. The LQ800 provides a complete analytical fluid measurement and process solution, designed to operate with up to eight digital analytical and process sensors. 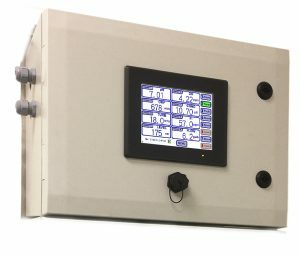 The measurement parameter options include above 50 unique separate liquid measurement sensors including: pH, ORP, conductivity, resistivity, dissolved oxygen, selective ion, turbidity, flow, and also level, alongside many other fluid analytical measurements. Complete with varying configurations for each given application, as can be seen in full on the LQ800 data sheet.